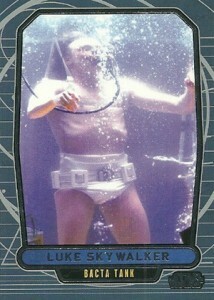 Star Wars has no shortage of costume changes and character development. 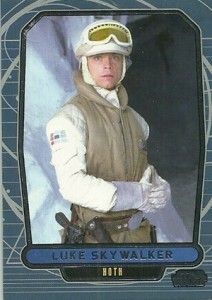 Just like the first installment, 2013 Topps Star Wars Galactic Files 2 has three variation short prints to go along with the 350-card base set. 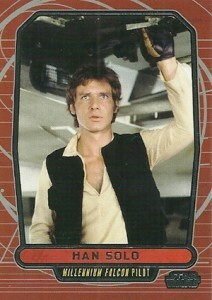 The three main heroes of the original trilogy, Han Solo, Luke Skywalker and Princess Leia, each have two different cards on the same spot on the checklist. 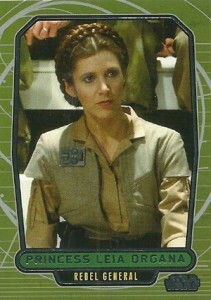 The cards in question are 463 (Han), 481 (Luke) and Leia (510). Not only do the variations have different pictures, they have different captions under their names as well. 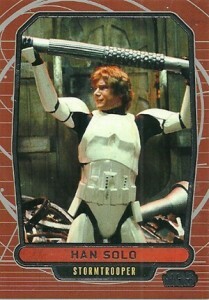 Check out all three 2013 Topps Star Wars Galactic Files 2 variations below alongside their base versions. Privacy guaranteed. Your information will not be shared or sold under any circumstances. Ryan is a former member of The Cardboard Connection Writing Staff. His collecting origins began with winter bike rides to the corner store, tossing a couple of quarters onto the counter and peddling home with a couple packs of O-Pee-Chee hockey in his pocket. Today, he continues to build sets, go after inserts with cool technologies, chase Montreal Expos and finish off his John Jaha master collection.